I have been looking, without joy, for a reasonably priced (OK, cheap) Kamco carriage to make a two car DMU with the one I already have. It's the red vehicle on the front track. I have found some, but they're being sold as parts of boxed sets at ridiculous prices. Just had a look in my bit box On30 stuff just encase I had bought any of these over the years. Sadly I got lots of parts but not any coaches. 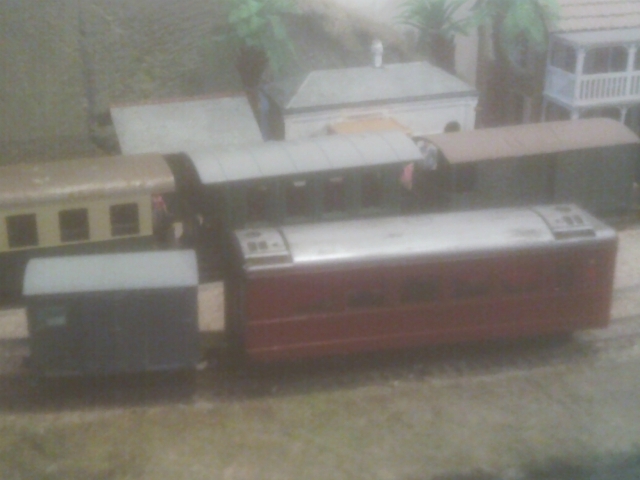 But Will keep a look out in cheap budget store train set etc, especially at Chritsmas time. Thanks Ian, I bought this one on eBay last year. The seller had more of them but I just got the one to see how it worked out for size. I tried bidding on the rest once the first one arrived but missed them. I should have gone for it in the first place... Easy with hindsight.